To compete in today’s consumer world, consumer goods companies must link all modes of marketing, old and new, to make sure they are presenting the right information to the right shoppers all around the world. 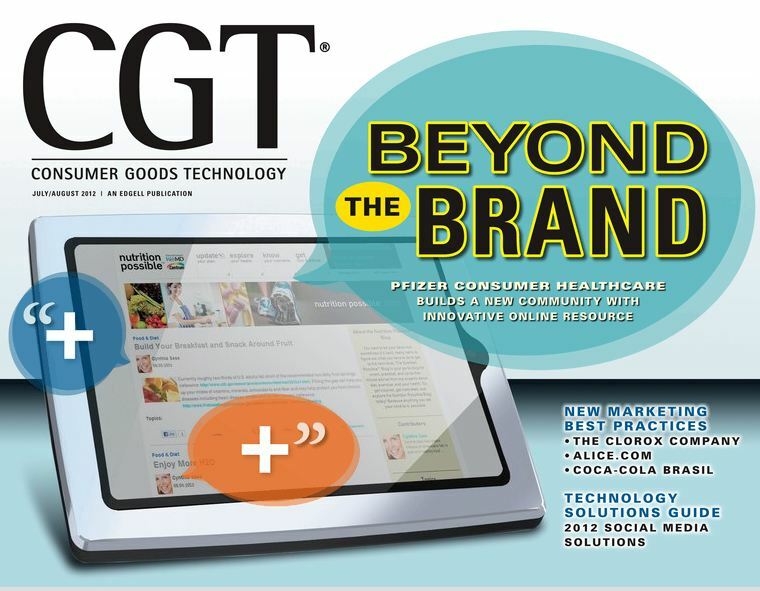 If you haven’t seen Consumer Goods Technology’s new digital issue, I encourage you to check out the proven New Marketing strategies. Innovative Shopping: A Clorox and Alice.com Facebook flash sale proves social commerce pays off. More Customer Contact: Coca-Cola Brazil incorporates social media into its Customer Relationship Management strategy. Also, check out the cover story with Pfizer Consumer Healthcare, which heard directly from consumers that simplified and easy access to nutritional information is what they needed. Being in the multivitamin business for 30 years, the Centrum team listened and developed Nutrition Possible to help people achieve their overall nutritional goals. CGT is great at helping companies deepen their social media penetration, and they’ve produced CGT’s first-ever Technology Solutions Guide: 2012 Social Media Solutions, providing a comprehensive listing of solutions/applications that can help consumer goods manufacturers monitor and measure their social media engagement, campaigns and/or investments. Click here to access the full issue. Enjoy!